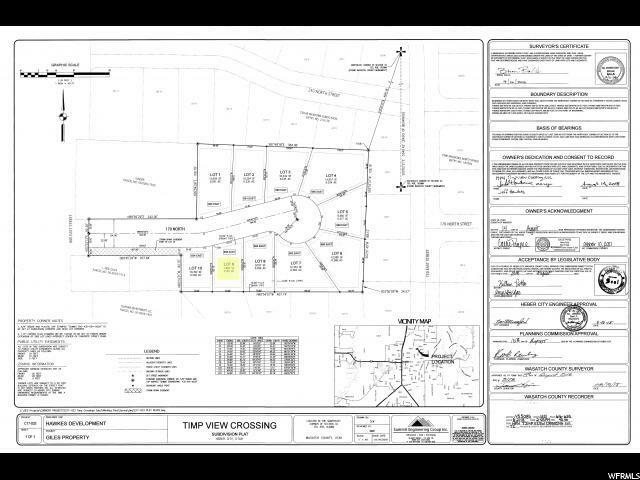 Cul-de-sac lot located in the brand new Timpview Crossing community! This lot is secluded and in a small 10 lot community just a few blocks east of downtown Heber City. Perfect location for schools, shopping, and all the amenities of the Heber Valley! Find your own builder, build your own home, or our builder can build your dream home for you! Come discover all that Timpview Crossing has to offer!